Description: To facilitate the addition of essential oil blends to water-based products, this powerful solubilizer is made of 100% plant origin for use in natural products. Consisting of naturally derived surfactants and wetting agents, Feuillesol has shown excellent performance for solubilisation. product will generally improve the higher the percentage of solubilizer to oils. Feuillesol (Mixture) 24 hours in advance may increase solubility. added at the end to the aqueous solubilisate and not during the solubilization since this may lead to turbidity. Cationic compounds can lead to irreversible turbidity. Acceptable in certified products including shower gel, shampoo, toner, and other water-based products. This ingredient is biodegradable, not tested on animals, non-GMO, and gluten free. 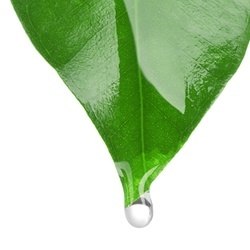 Compared to other PEG-free natural solubilizers, Feuillesol demonstrates a comparable performance to PEG-40 hydrogenated castor oil, the industry standard.